Canary All in One Home Security Device or Nest Cam Indoor Security Camera? Which is the better indoor security camera? Installing security cameras are one of the most popular ways to secure your property. These remote home monitoring solutions allow you to check on your property even when you’re away. A quick check on your smartphone can ensure everything is safer. 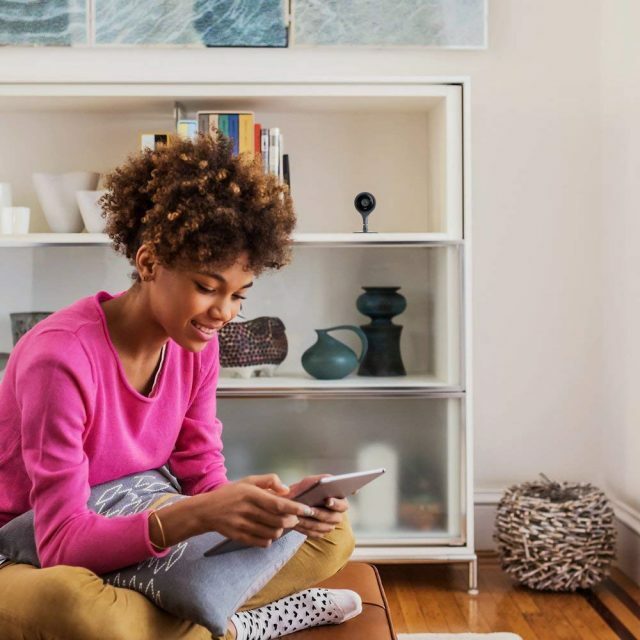 A great advantage of today’s smart home security cameras is their inexpensive ability to record footage for day and weeks. In this way if something is damaged or stolen that you may not have noticed initially you can review recorded video and provide to authorities. For total surveillance coverage Canary and Nest just might provide the best bang for your buck. But which one should you choose? 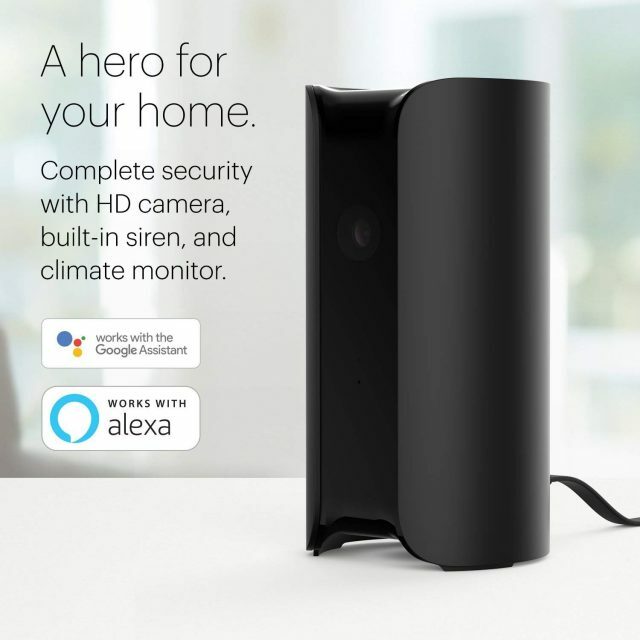 There is a reason why this device has been named as ‘All in One Home Security Device’ – it has the ability to do many things and is a perfect all-rounder in the security space. It is powered by an HD camera that can capture recordings at all times of the day and night. The Canary Security Camera is easy to set-up and this can be done by either using Wi-Fi or an Ethernet cable. Activation is also as simple as all you have to do is to download the app and set it up. Coming to the features, it has a 90-decibel siren which can be used to scare away unwanted visitors with just a tap of your finger. 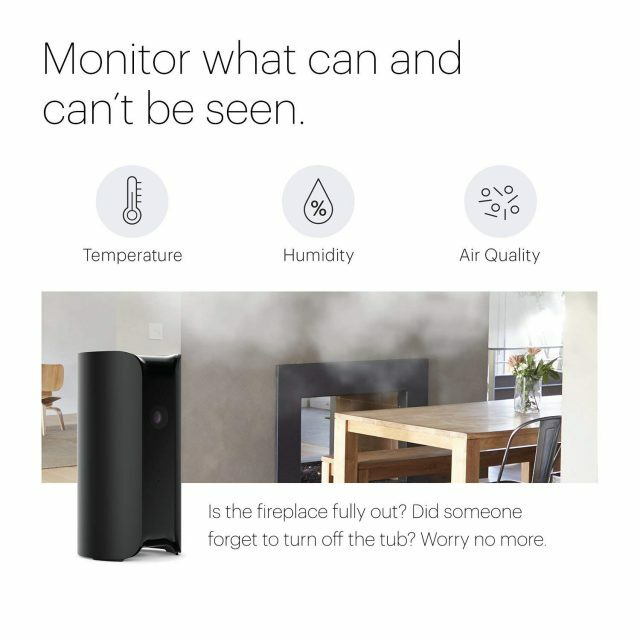 Not only can the device monitor the air quality, temperature, and humidity but can also alert you by letting you know if there is any suspicious activity. Embedded AI technology and machine learning techniques are used to ensure that the right alerts are passed on to the user in order to avoid fault alarms. The Canary app also provides emergency phone numbers in the app to allow you to call in case of an emergency. There is also direct access to the pre-populated number of first-responders. Though the live streaming can lag at times, it does not hamper the Two-way Canary Talk which can be used to talk to the person at the front door. You can ensure that you do not miss your parcel delivery. There is a privacy mode which allows you to shut down the camera and microphone at any time. With the automatic arming and disarming feature, you can be at peace that you receive the important alerts on your phone even when you are away from home. The Canary Camera also lets you customize the settings according to the number of family members at home. It works well with both Amazon Alexa and Google Assistant. 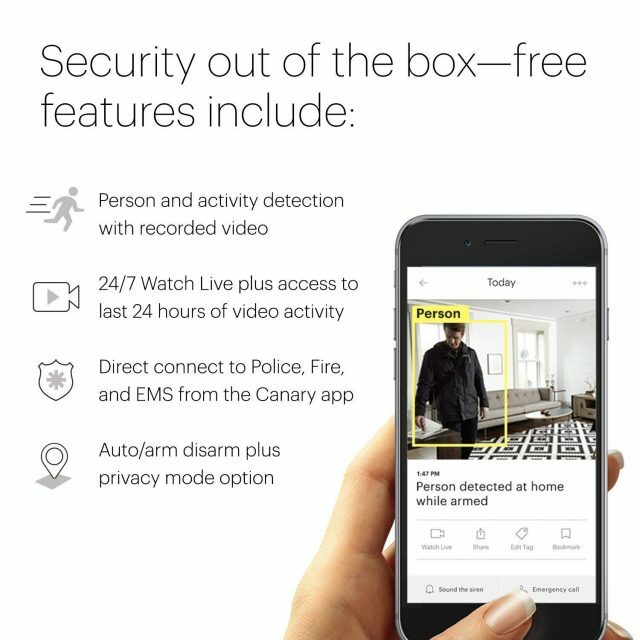 Canary’s All-in-One Home Security Device gives you free access to 24 hours of video clips with an option to upgrade for more benefits. 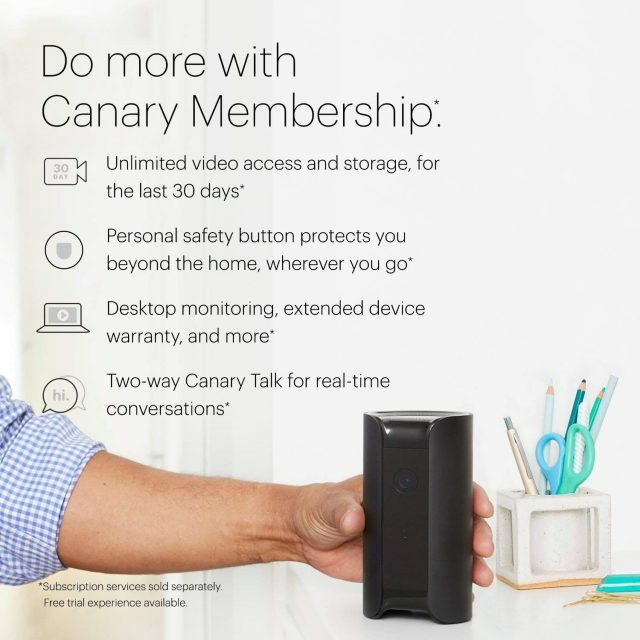 Get Your Canary All in One Home Security Device Now! This stunningly designed sleek indoor security camera is certainly an eye-catcher. There is a LED indicator just above the camera which flashes while trying to connect and turns green when it’s recording. The Nest Indoor Camera is mounted on a magnetic stand to give it extra stabilization while recording the videos in 1080p. It can also be attached to the wall or be unscrewed from the base and be attached to a tripod. 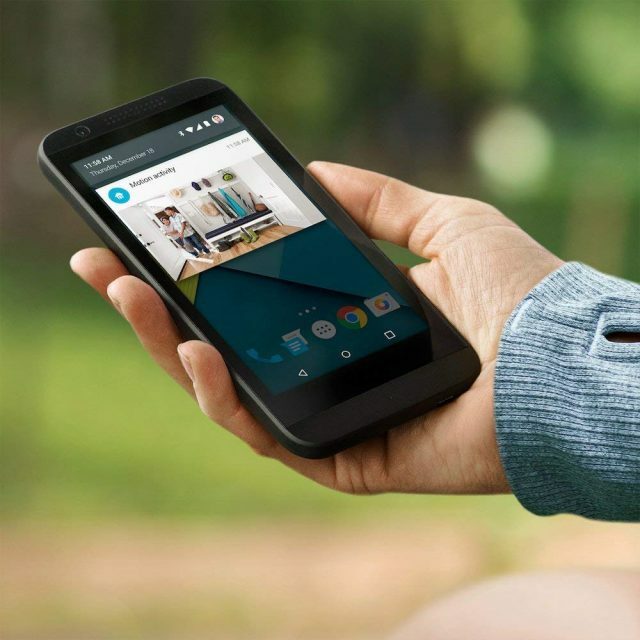 The Nest Indoor Security Camera can keep an eye from anywhere using the app which gives you access to the live streaming. The camera is fairly easy to set up and gets to work in minutes. With the Nest Aware subscription, you will be able to do more. It includes 24*7 live recording saved on a secure cloud with multiple options on the time limit. It also enables person alerts with the subscription which alerts in case of any activity. You can also go back in time to see something that you might have missed by reviewing photos of activity in sightline. Though the camera has a built-in speaker and mic, it is not as loud as one would expect it to be. As the camera is a bit on the smaller, it also restricts the field of view to 130 degrees diagonally. The camera works well, both during the day and at night to ensure there is nothing that you have missed. 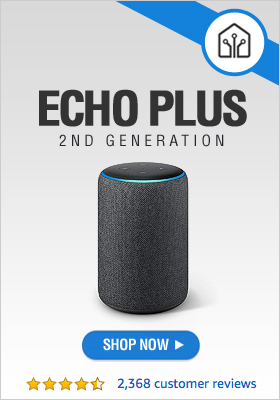 It works well with Amazon Alexa and is compatible with other Nest devices. 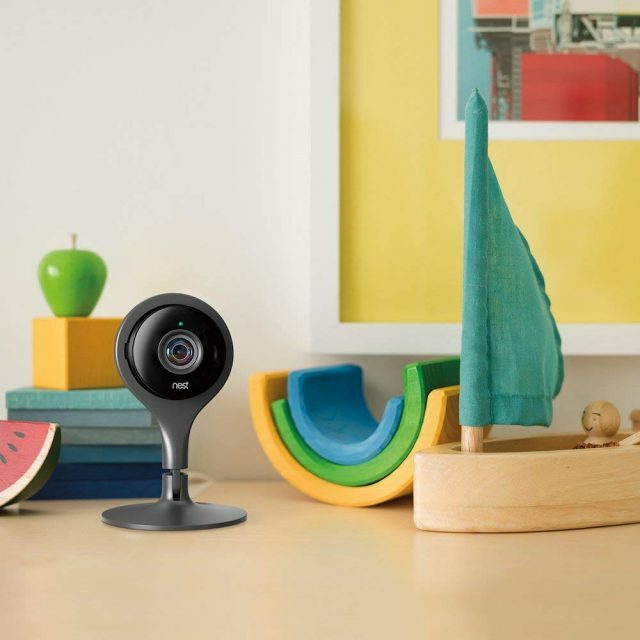 Get Your Nest Cam Indoor Security Camera Now! – Additional features like air quality control, and siren. So, what’s the decision? 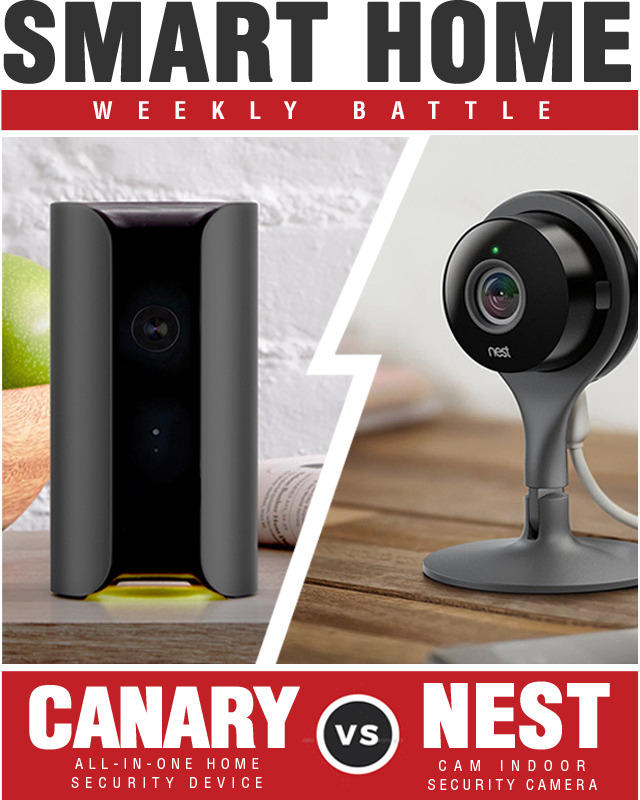 Who won the smart home battle between the Canary All in One Home Security Device and Nest Cam Indoor Security Camera? Both Nest and Canary offer amazing indoor security options. If not they wouldn’t be going head-to-head in this week’s Smart Home Battle. Providing high-quality recording capabilities with installation and setup being easily done it’s hard to say which has the upper hand. 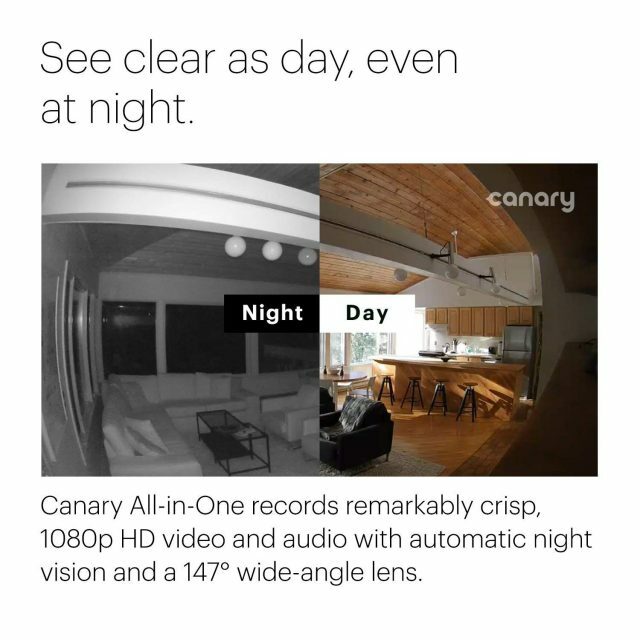 One major advantage for the Canary All-in-One Security Device is that it is much more than just a security camera. The Canary not only keeps tabs on your home with video capture but has sensors for air quality, humidity, and temperature. But of course you’ll have to pay extra to use many of its features. And that may be what it all comes down to when making a decision between the two indoor camera solutions. 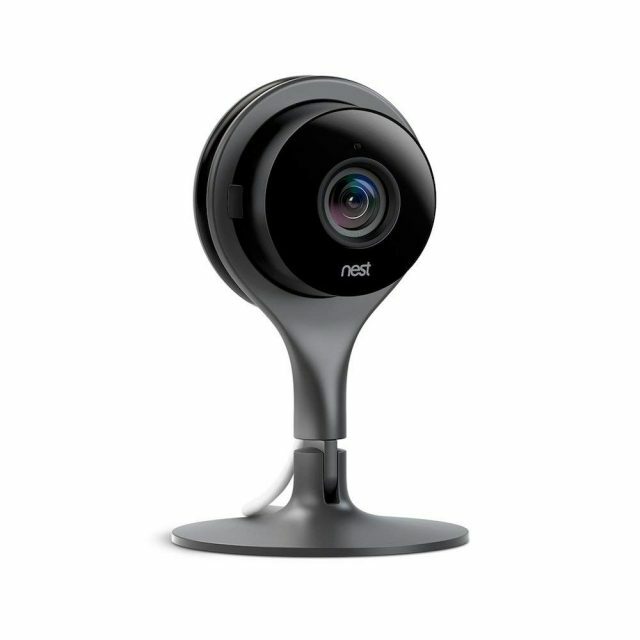 Although both the Nest and Canary provide 24/7 live view of your cameras video feed you will need a subscription/membership to record the video. A Canary membership has 30 days of full-length video for about $10/month, as well as providing Two-way Canary Talk and Desktop Streaming. The Nest Aware subscription starts as low as $5/month for 5 days of video recording, and you can go up to 30 days for $30. So depending on your video recording needs the Nest subscription could be much cheaper, or much more expensive in the long run. 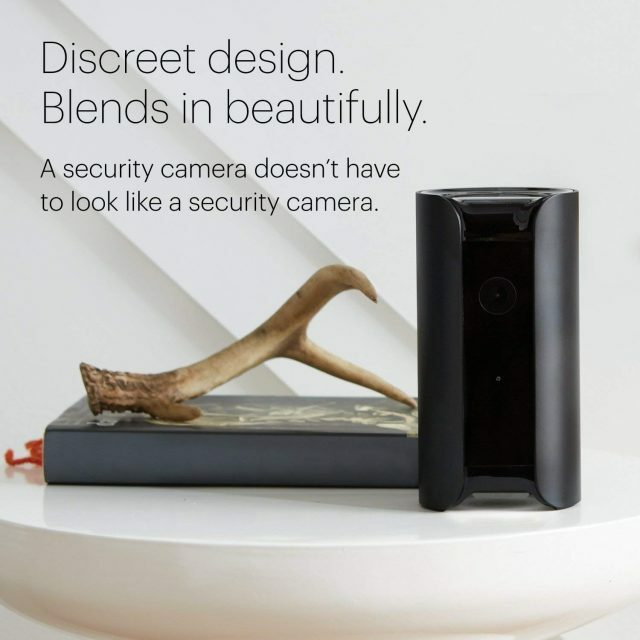 With all that being said, you couldn’t go wrong with either the Nest Cam Indoor Security Camera or Canary All in One Home Security Device. Protecting your home with an indoor camera is a great step toward complete security for your possessions and loved ones. Our pick for this weeks winner would be the Canary All-in-One Security Device for providing a little bit more than just video recording for $10/month or $99 for the year. 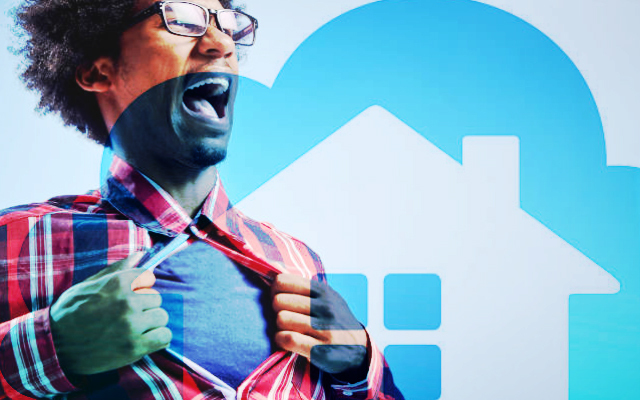 Want to see more smart home battles? Click here for the complete listing.